SEVEN franchise teams have been confirmed for the 2014 Telikom National Soccer League season. In the NSL board meeting last Tuesday, chairman Isaac Lupari (pictured) announced that only Hekari United, Eastern Stars, Besta United, Gigira Morobe United, Oro, Admiralty Paliau and Lae had fulfilled the requirements to be part of the semi-professional competition. Admiralty Paliau will be managed by Chique Posman while Lae will be managed by Peter Gunemba. 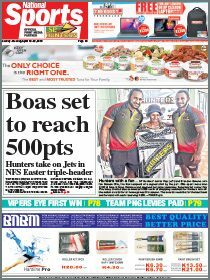 Last year’s grand finalist, Port Moresby and West New Britain Tavur have been axed from the NSL after twice failing to pay their affiliation by the revised deadlines. The managers meeting extended the deadline from October 18 to Oct 25, but both clubs could not come up with the money. There will be no representative teams from the Highlands and New Guinea Islands region in this year’s competition. Four teams, Hekari, Eastern Stars, Oro and Admiralty will be based out of Port Moresby while Gigira Laitepo Morobe, Besta and Lae will have their base in Lae. Lae has picked up former Gigira Laitepo Morobe players for the competition this season while Admiralty are expected to draw from the Port Moresby competitions. 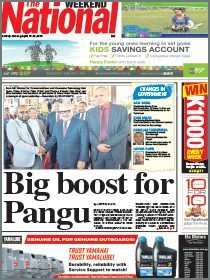 Port Moresby were banking on K100,000 from NCD while WNB Governor Sasindrau Muthuvel said Tavur’s request for assistance could not be accommodated as it too late to be included in the province’s budget. Lupari said a franchise manager’s workshop for the new season would be conducted on Saturday to ensure the smooth running of the competition when it kicks off in January. He said the season was scheduled to start on January 11, and with a draw that includes midweek matches the season would end by the middle of April.